Traditional Chinese dishes consist of readily available ingredients flavored with ginger, garlic and other seasonings. 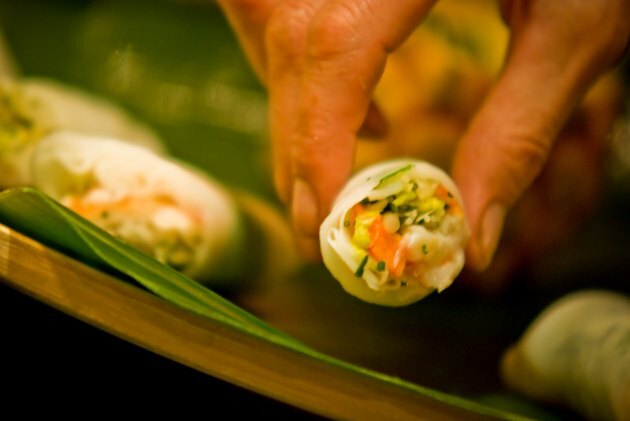 In the United States, Chinese restaurants often use recipes adapted to suit Western tastes. As a result, the food you order from an American Chinese restaurant might have more sodium than you would expect. The ingredients and cooking methods used to prepare your dishes affect the sodium content of your meal. Some chefs use monosodium glutamate, or MSG, to enhance the flavor of their dishes. Table salt, which is approximately 40 percent sodium, is also used in Chinese cooking. One teaspoon of table salt contains approximately 2,400 milligrams of sodium. If you order a dish with soy sauce, it can increase the sodium content of your meal significantly. Just one tablespoon of the sauce has approximately 1,000 milligrams of sodium. 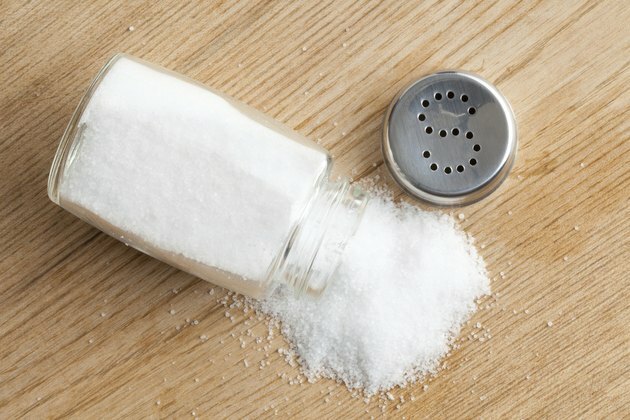 The U.S. Food and Drug Administration defines a high-sodium food as one that contains more than 480 milligrams of sodium per serving, and the Dietary Guidelines for Americans recommend you take in no more than 2,300 milligrams of sodium daily -- less if you have certain health conditions. A 1-cup serving of wonton soup has 905 milligrams of sodium, while one cup of egg drop soup has 892. 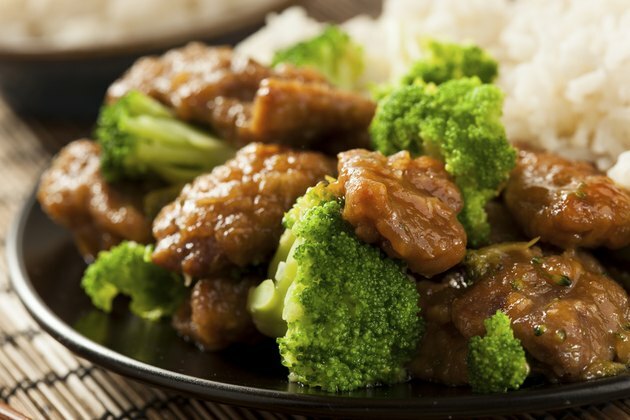 One order of General Tso's chicken, or approximately 2.3 cups, has 2,327 milligrams of sodium -- your total sodium intake for a day. Although vegetables typically have less sodium than other foods, ordering a vegetarian dish is still no way to guarantee you can reduce the sodium content of your meal. 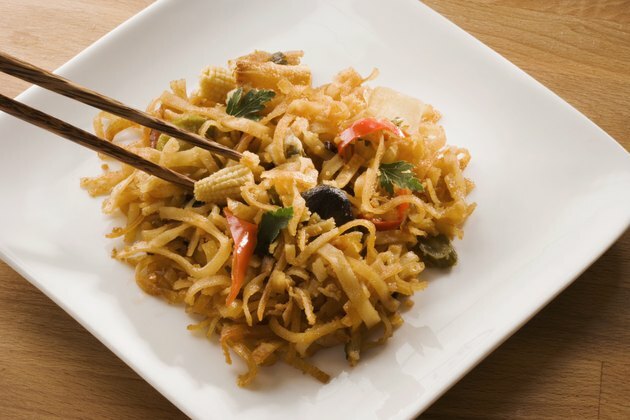 One order of vegetable chow mein, or 3.3 cups, has 2,673 milligrams of sodium. 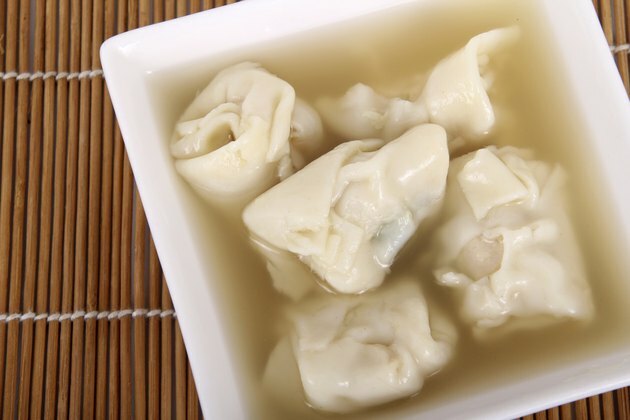 If you replace one cup of wonton soup with one spring roll, you will get 300 milligrams of sodium instead of 905. Although lemon chicken is considered a high-sodium food at 700 milligrams per serving, ordering it in place of chicken chow mein with crispy noodles will reduce your sodium intake by 1,800 milligrams. Look for dishes made with steamed vegetables, or ask the chef to use less sauce when preparing your meal. Order condiments on the side instead of pouring them directly on your food. Reduce the sodium content of your meal by avoiding MSG, sweet and sour sauce, duck sauce and plum sauce. Manufacturers use sodium to enhance and preserve the flavor of canned vegetables, so cook Chinese dishes with fresh or frozen produce whenever possible. If you must use canned vegetables, rinse them to remove excess sodium. Instead of adding table salt to your food, use red pepper, garlic or onions to enhance the flavor without increasing your sodium intake.